Wielding this beast of a short sword really takes some muscle! 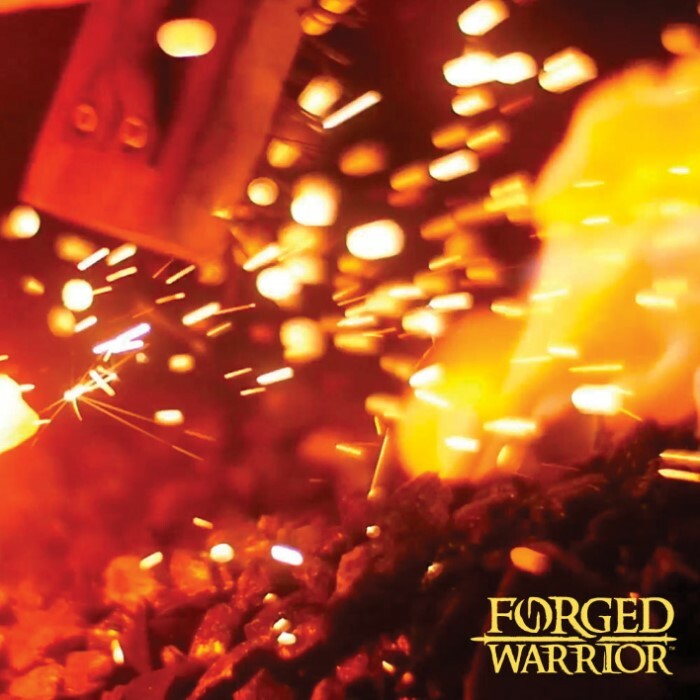 The Forged Warrior Jungle Beast Short Sword is forged from one solid, heavy piece of high carbon steel that you know will get the job done as soon as you hold it in your hand. 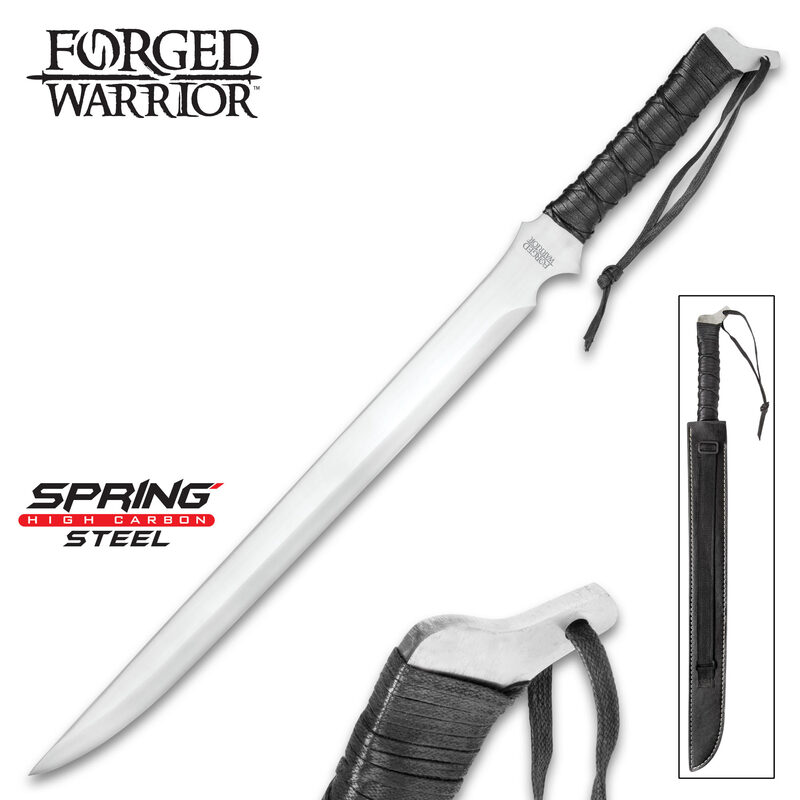 Wrapped with genuine black leather in the traditional Samurai sword style, the handle has a comfortable grip and features a lanyard hole with a lanyard. 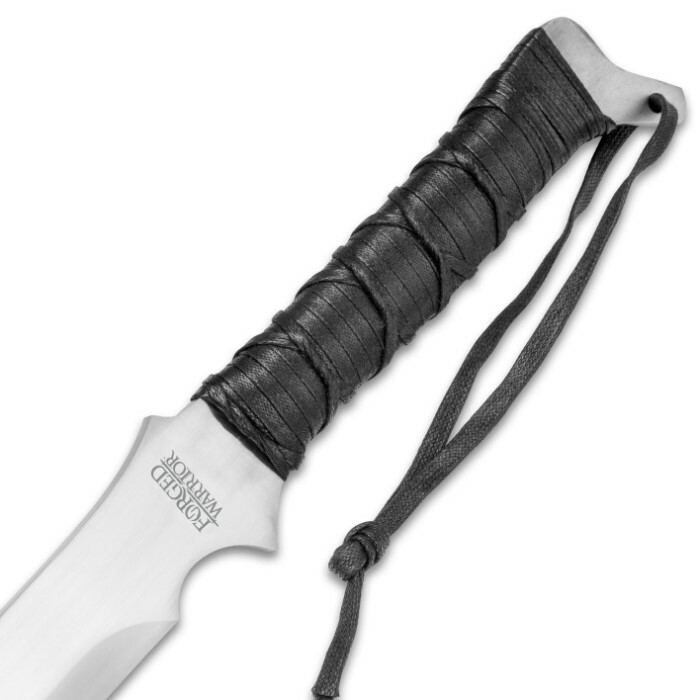 The sharp 19 3/4” blade is mirror-polished and is exactly what you need to cut your way through a jungle or heavy brush environment. 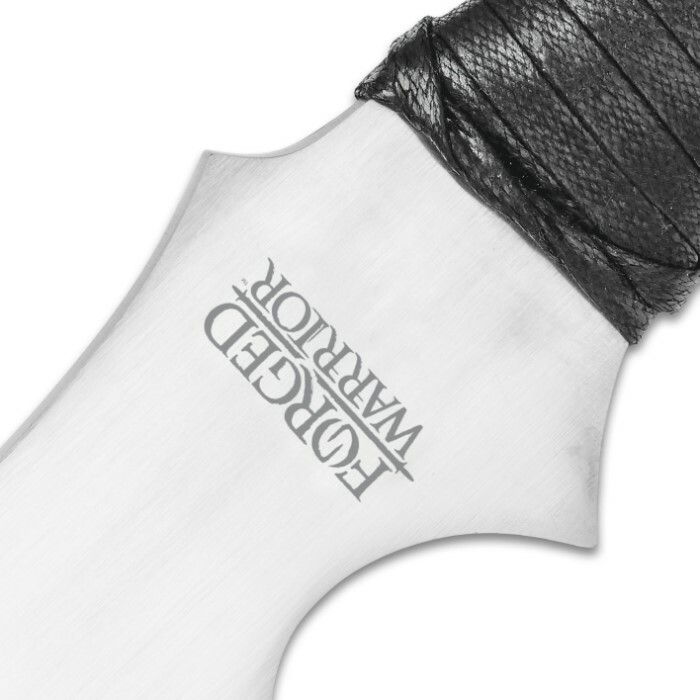 Just sling it over your shoulder in the included genuine, premium leather shoulder sheath and you’re ready for anything!